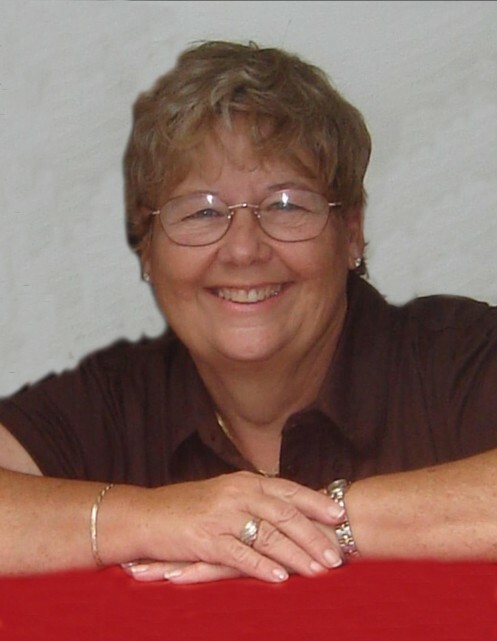 GRAFTON – Edith Lorene “Edie” (Ament) Critchfield Sims, 75, died at 11:45 a.m., Tuesday, March 19, 2019 at her home in Grafton under the care of BJC Hospice. She was born on October 21, 1943 at St. Joseph’s Hospital in Alton, the first child born to the late Theodore and Violet (Fisher) Ament. After her father’s death, Edie and her family moved to Indiana where she graduated with the class of 1961 from Clay Township High School in Bunker Hill, Indiana. After graduation, Edie and her family relocated back to Grafton, IL where she met and fell in love with the boy across the street, Larry Leigh Critchfield. The two married on December 29, 1962 at the Grafton United Methodist Church and together their marriage was blessed with four children and nearly 40 years of marriage before his sudden passing on March 29, 2002. Edie graduated from the Olin Vocational School as a licensed practical nurse and operated a day care in Grafton for nearly twenty years. In addition to taking care of area children, Edie was an active wife and mother within her own household. She was involved in many of her children’s activities throughout their childhood, including being a Cub Scout leader and assistant coach for the Khory League. She was also active with the local Jaycees and the Order of the Easter Star and was an avid collector of Precious Moments figurines. She was a devoted member of the Church of Jesus Christ of Latter-day Saints in Godfrey, where she served as a Sunday School teacher and Primary president. After Larry’s passing, she married Jack D. Sims on December 18, 2004 in Elko, Nevada and together throughout their 14 years together they enjoyed traveling and spending winters in Orlando, Florida. Even as her health began to decline, and she was unable to do many of the things she enjoyed, Edie found great joy in being surrounded by her children and grandchildren as often as she could. Surviving are her husband, Jack Sims of Grafton; four children and their spouses, Bill and Angie Critchfield of Sullivan; John and Gina Critchfield and Ted and Lisa Critchfield, all of Grafton; Laura and Bruce Mecham of Hermiston, OR; four step-children and their spouses, Amy Jo Sims of Los Alamitos, CA; Jeff and Lisa Sims of Godfrey; John and Vanessa Sims of Brighton and Amanda Sims of Alton; twelve grandchildren, Dylan (Sarah) Critchfield of Jerseyville; Taylor (Sydney) Critchfield of Bethalto; Miranda (Anthony) Burgess of Alton; Caitlin, Madeline, Tanner, Samantha and Brandon Critchfield, all of Grafton; Kayden, Breckyn, Bryleigh and Braylin Mecham, all of Oregon; six step-grandchildren, Andres Sotengco of Las Vegas, NV; Austin Santengco of Los Alamitos, CA; Garret and Dylan Sims, both of Godfrey and Wyatt and Harley Simms of Brighton; as well as two great-grandchildren, Ruthie and Karliah. Visitation will be from 4 to 8 p.m., Friday at the Crawford Funeral Home in Jerseyville. Funeral services will be conducted at 10 a.m., Saturday at the Church of Jesus Christ of Latter-day Saints in Godfrey. Burial will follow at the Scenic Hill Cemetery in Grafton. Memorials may be given to Shriner’s Hospital in care of the funeral home.